Anxiety and depression have been a growing problem in society. So much so, that it has nearly approached epidemic status. 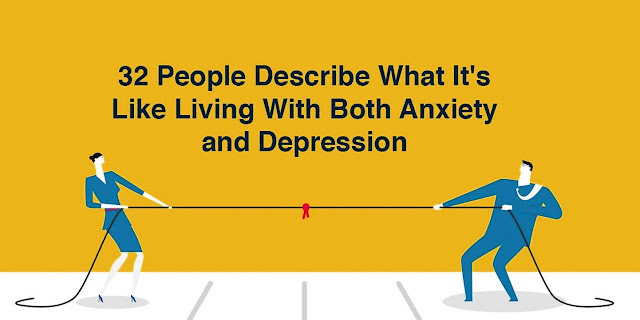 Having either anxiety or depression is difficult enough on its own, but many times they occur simultaneously magnifying the negative effect of each. Fortunately, there are now many drugs available to treat these conditions. Many of them work extremely well. It is all about proper diagnosis and finding the right medication, or combination of medications, that work best for the particular individual. People with an anxiety disorder tend to worry. Not just a normal amount of worrying, either. If the individual is always displaying disproportionate amounts of stress related to everyday events, this can be categorized as generalized anxiety disorder (GAD). Symptoms can include shortness of breath, racing heart, and chest tightness. Another type of anxiety is situation specific or acute anxiety. The person may become extremely nervous and anxious in certain social situations or have “episodes” of perceived real danger and panic. These outbursts of anxiety include what is labeled as “panic attacks”. To the person experiencing them, there is nothing worse- they feel helpless and worried beyond control and may even believe they are going to die. Anxiety disorders are complex and may be generalized and ongoing or episodic. They can range in severity as well. Although they are mental disorders, they have real and measurable negative effects on physical health. Depression is sometimes mistaken for another illness or missed completely. It can have symptoms that vary greatly from person to person. Just like anxiety, depression can be mild and short-lived, or severe and ongoing. It can also be anything in between. Some warning signs of depression include feelings of sadness, lack of motivation, thoughts of hurting oneself or others, lack of interest in normal activities, along with many others. Sometimes people with depression are irritable, display poor hygiene, have trouble sleeping or sleep too much, among other behaviors. Depression is just as difficult to diagnose as anxiety and left untreated can be very dangerous to a person’s health and mental well-being. Since both these disorders have no concrete method of diagnosis, a trained physician must use his/her best judgment after examining the patient and putting them through a series of tests and questions. Both anxiety and depression can mimic other conditions so it is important to be properly evaluated by someone who specializes in this area. Treatment for either disorder or the combination of the two will be an overall plan decided upon by your doctor. Ideally, you should sit with your doctor and come up with a strategy for treatment together, based upon the diagnosis and expectations. Usually, oral medications will be tried and then adjusted as necessary. Be patient, because most of the medications used to treat these conditions take several weeks to build up in your system. Your doctor may also want to include some lifestyle and dietary changes as a complementary treatment to the medicine.